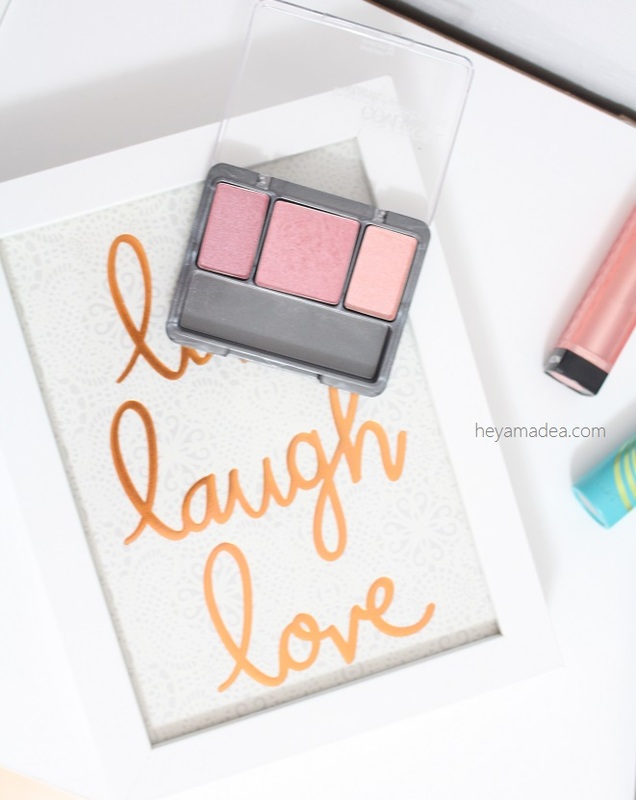 Hey Amadea | Enjoy the little things: All-Drugstore Makeup Starter Kit - Products that Work! There was one night when I checked on my t-zone, and I realized it wasn't as oily as usual after a long day with makeup. I didn't use anything different other than the powder. This totally works to keep the oil at bay, and I still use this to this very day. I prefer to stick with matte finish when it comes to bronzer. I once played around with shimmery bronzer, not realizing that I was piling on glitter on the sides of my face. Instead of looking naturally glowy, I looked all glittery! 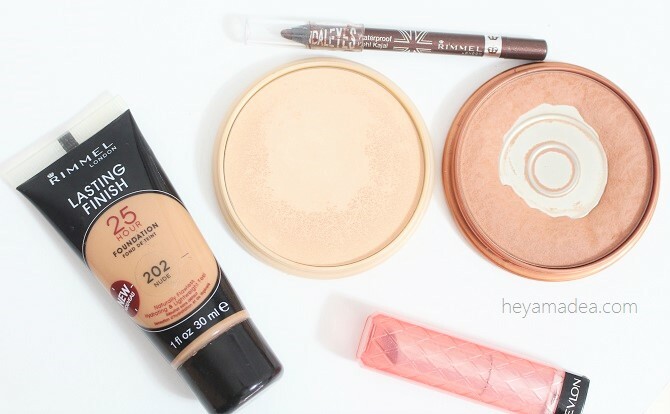 Ever since then, I stick with matte bronzer. This particular shade, sun light, has a hint of shimmer when you look into the product, but it doesn't apply shimmery onto the face. I also still use this today. Again, another tough category for me. I also have another drawer dedicated for blush. I have so many favorites, but I decided to go with the one I know will not disappoint. This one comes with three different shades on each product, a deeper one, a lighter one and a 'neutral' one. The idea is to give the instant chiseled look everybody likes. You can use all three shades at once like I do, or use any individually. The lighter shade doubles as a highlight. Everybody needs a neutral eyeshadows in their collection. This trio is my go-to, even until today. The bottom shade is perfect for all over the lids, the middle shade is for the crease, and the top shade is for the brow bones, exactly just like how they are labeled on the packaging. Wet 'n Wild shadows are amazing, they are pigmented and they stay put. They are super affordable too! When it comes to eyeliner, I usually prefer the easy route, pencil. I just find it more convenient to use and easier, too. I also always opt for a brown liner instead of black, especially for everyday look, because it looks more natural on me. Black tends to give more harsh/made up look which I save for more special occasion. If you've been following me for a while, you may know this by now that I've very loyal when it comes to mascara. I stick with what works for my lashes, dryer formula, volumizing/lengtheing, and no smudging. This one checks all of the criteria for me. Honorary mention: CoverGirl Lash Blast Volume mascara. 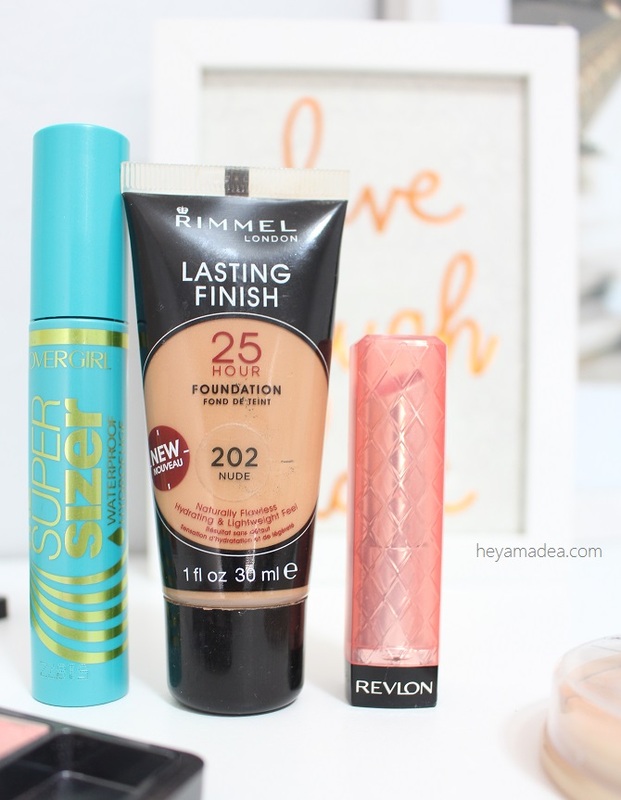 This was the only mascara I used before Cover Girl came out with the Super Sizer. It also checks all the criteria, but between the two, the Super Sizer is slightly more volumizing in my opinion. I'm not typically a lip gloss kinda gal, so I usually only stick with lipstick and even when I do wear lip gloss, I never remember to reapply through out the day. I have so many lipsticks from different range of shades, but every single time I put on my makeup, I always go with a neutral shade. Even when I've made up my mind that today was gonna be the day I wore bold lipstick, I've always chickened out last minute and change it to a neutral shade. Now,your definition of a neutral shade might slightly differ than mine. My perception of neutral shade is something that is close to my natural lips color, but better and it's the peach parfait. Although it also has some shimmer to it. 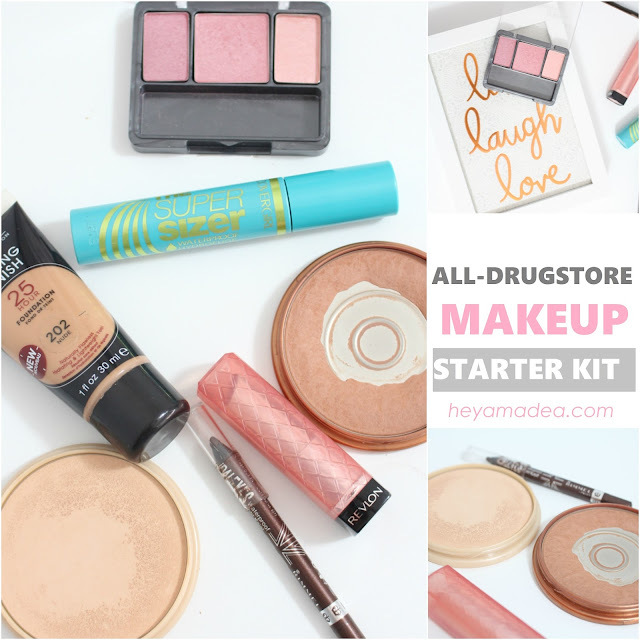 What's your favorite makeup from the drugstore? I'd love some recommendations!